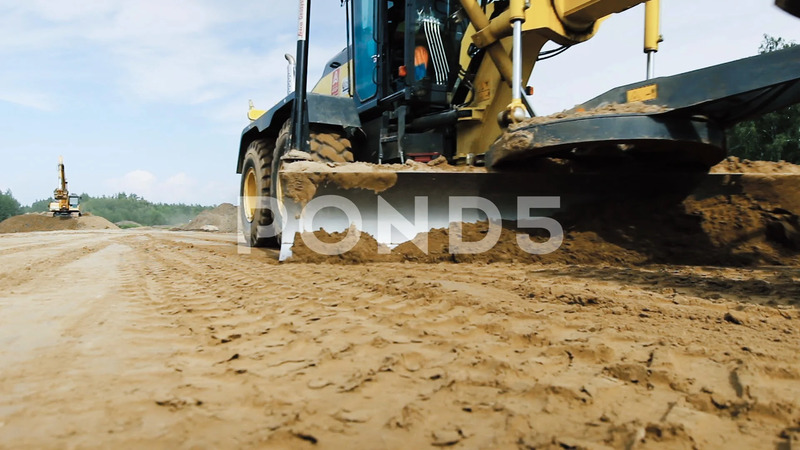 Description: Grader smoothes the soil during the construction of the road. Shooting from the bottom of the close-up. The camera moves on the slider from left to right.